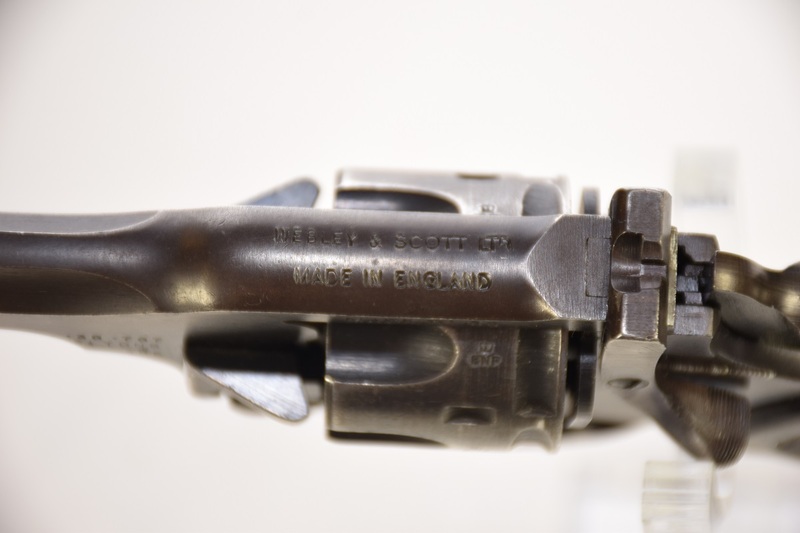 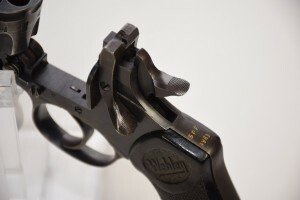 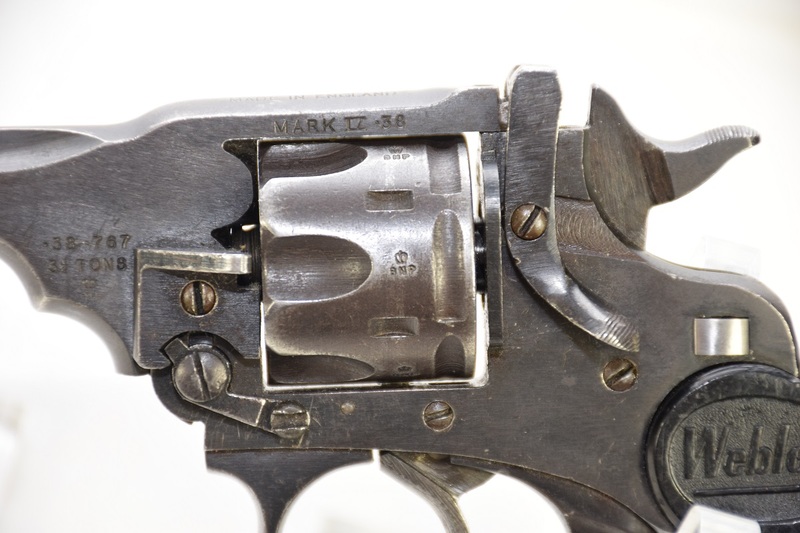 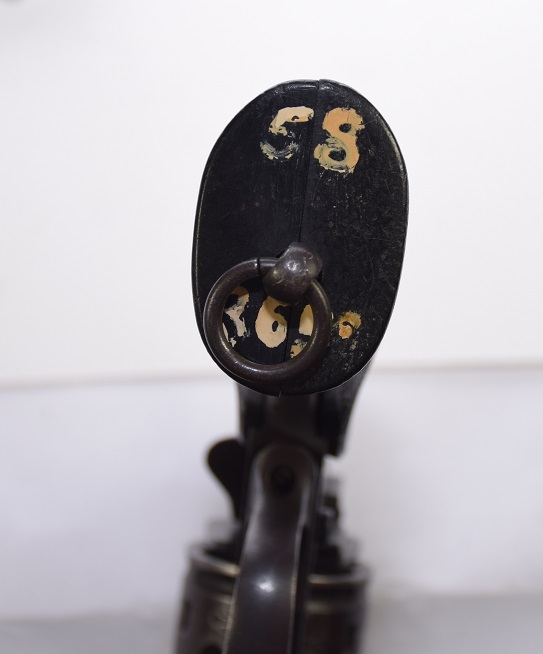 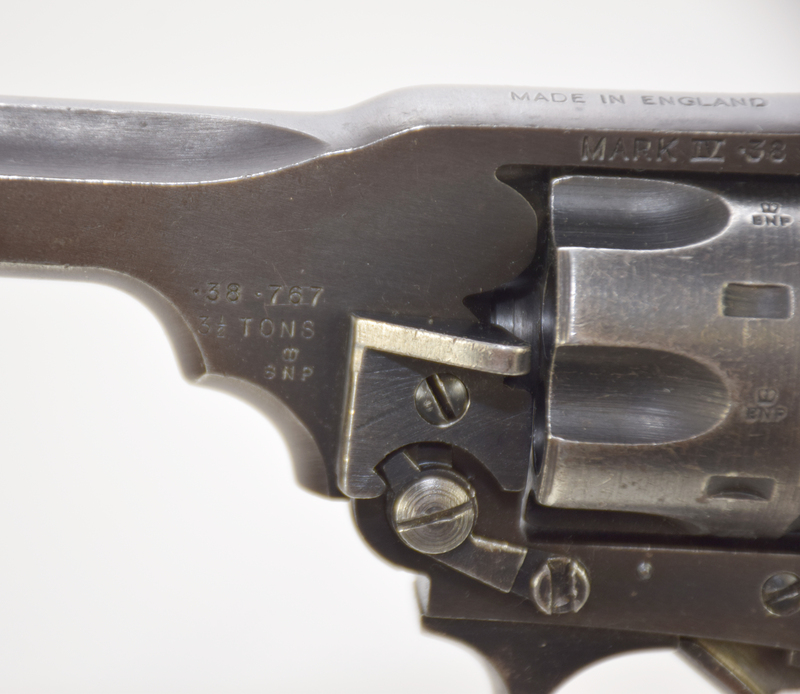 This post deals with 2 Webley mark IV pistols. Both of them were issued to the Singapore police force. Both of these pistols are commercial versions and show no military markings. 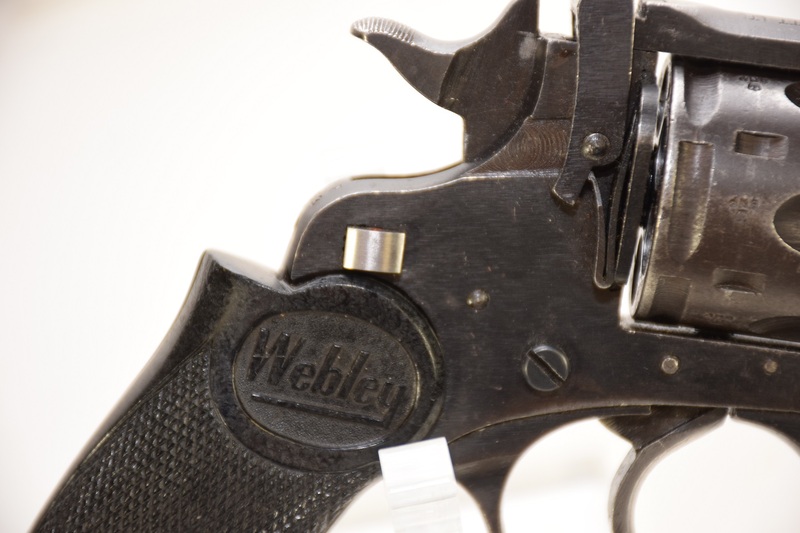 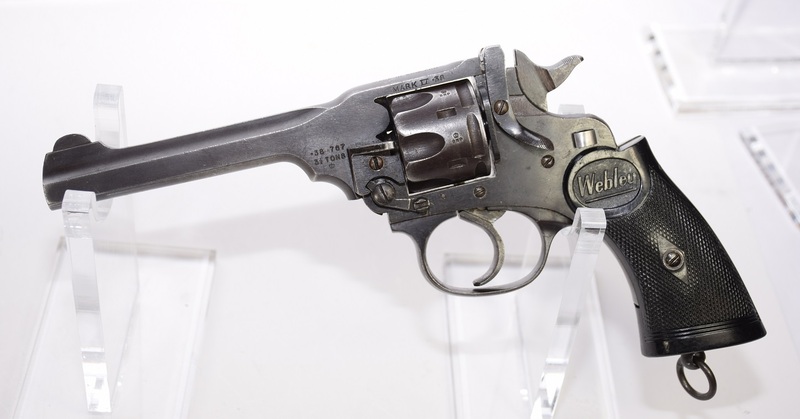 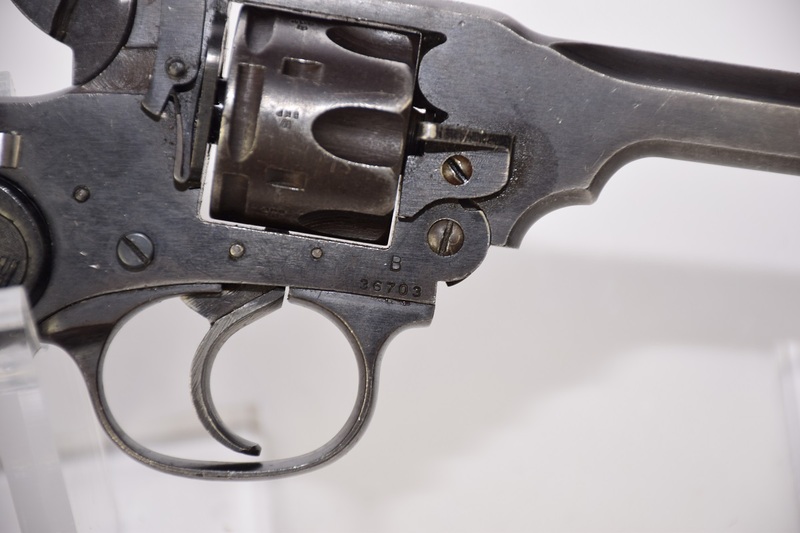 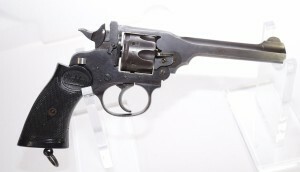 The first is a standard mark IV webley. 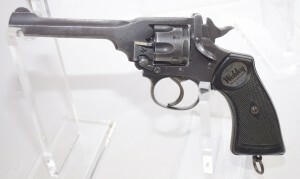 The second version is the police model. 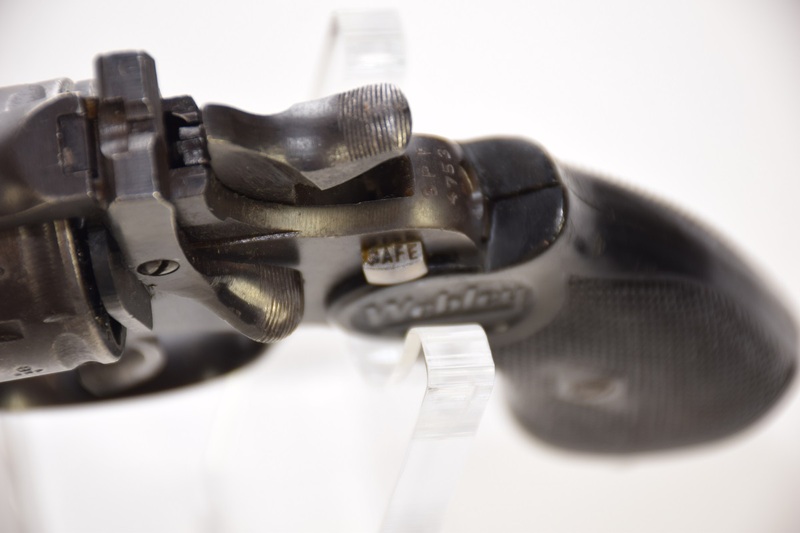 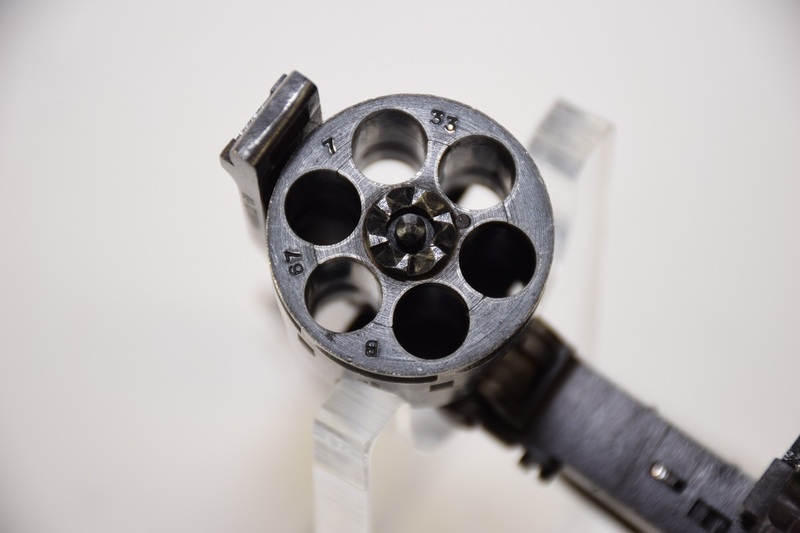 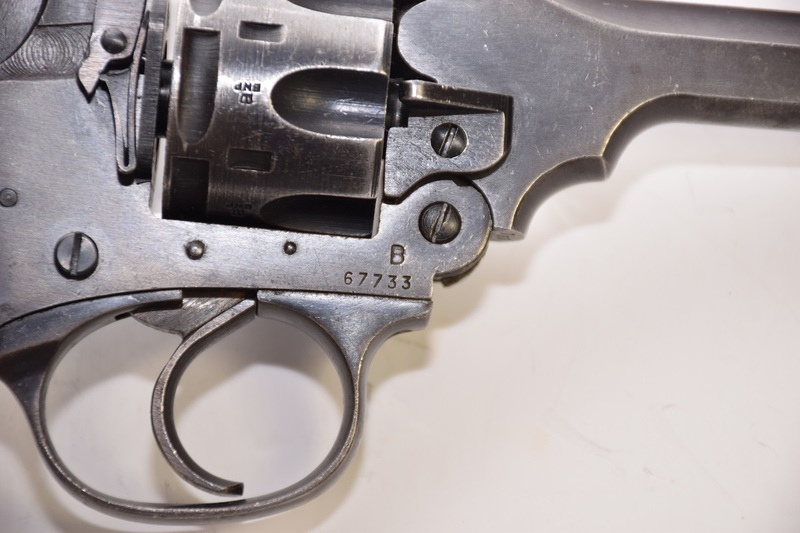 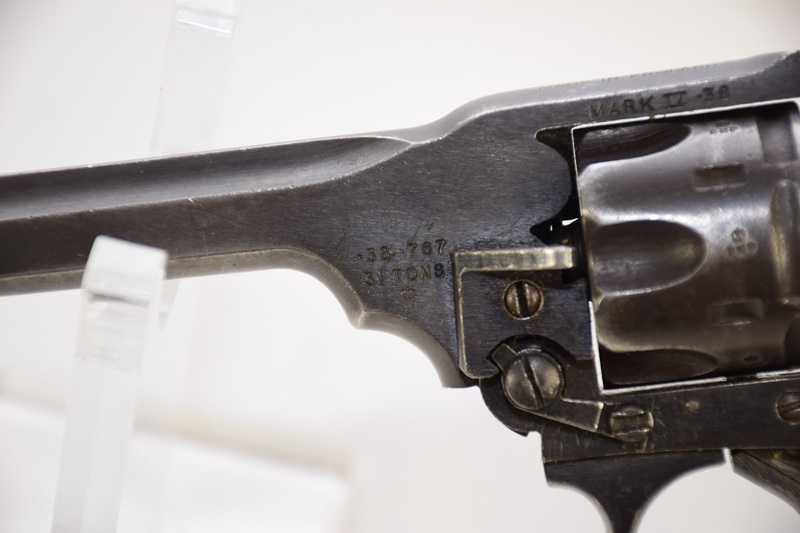 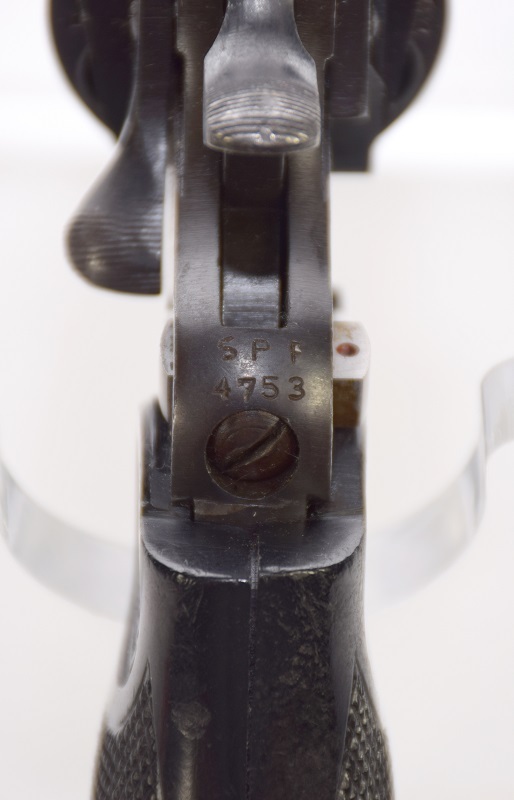 This pistol incorporated a hammer safety. With this pistol the safety can only be engaged with the hammer down. The pistol can still be open to load or unload with the safety on. 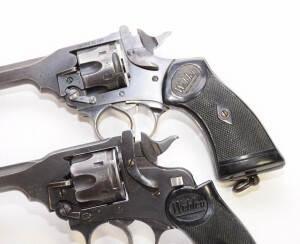 Production of the Police model ended in 1970. The safety pushed to the safe position. 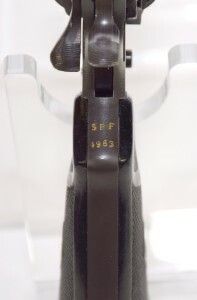 You can see the Singapore police markings and the red dot on the safety indicating the weapon is ready to rife. 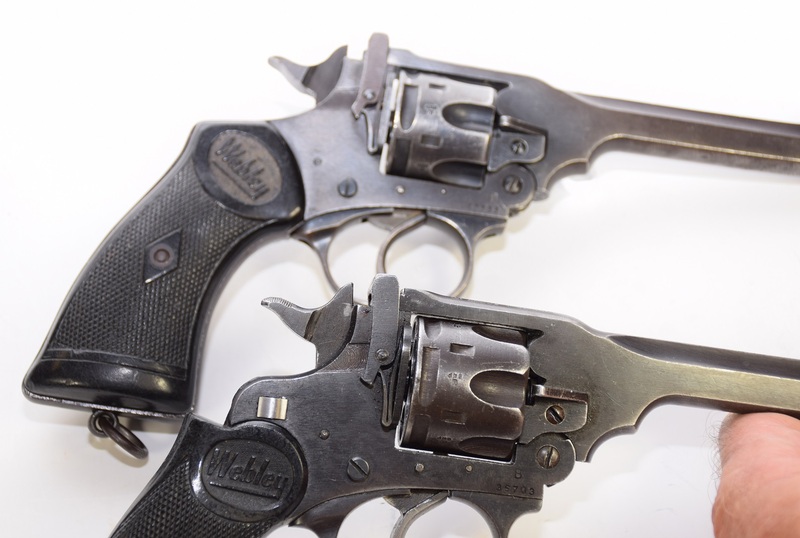 A quick look at then side by side. 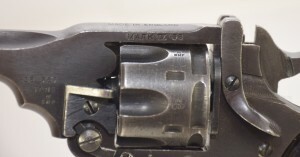 showing the frame differences. 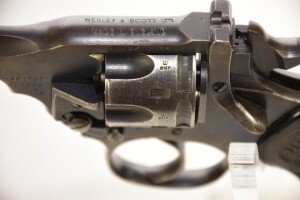 Notice the hump design on the back of the frame and the difference in grip design. What pistol would carry a mark of a large “W” enclosed by a circle. 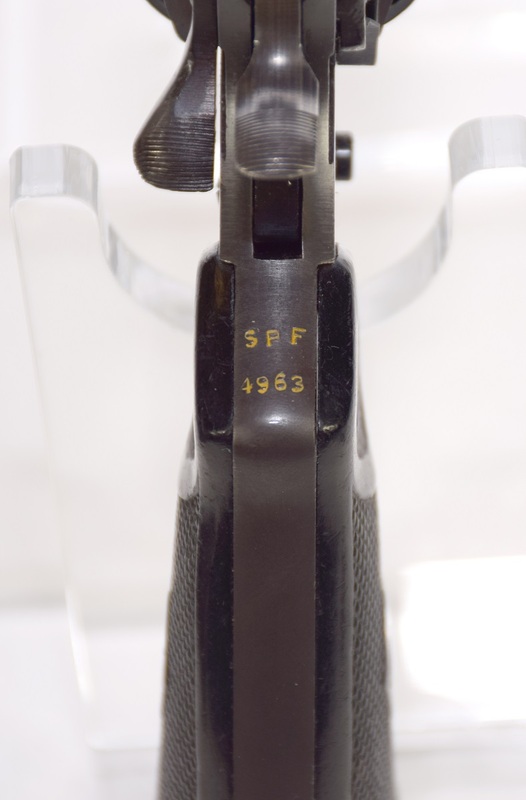 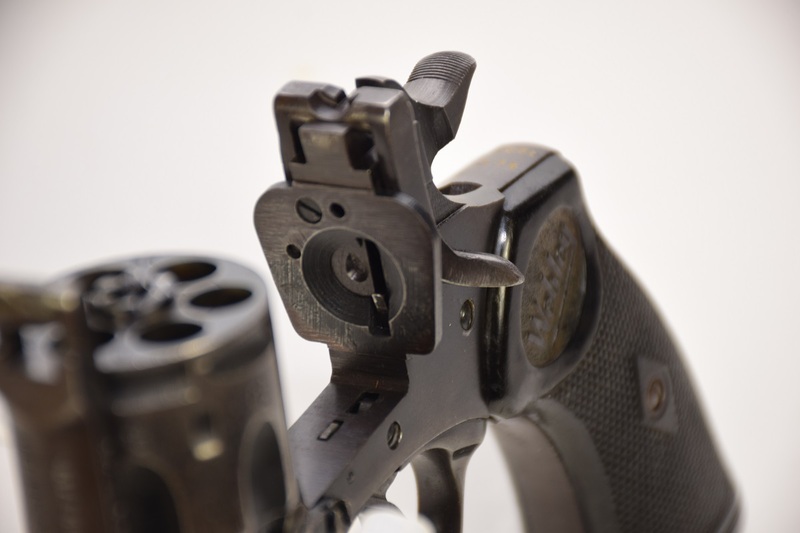 The mark is large and on the trigger housing – I would call it, right above the trigger. The pistol is all black. I would think a single shot – not a revolver. 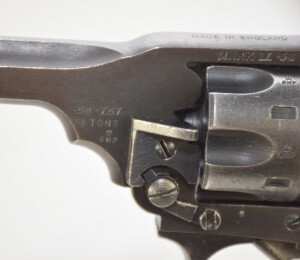 Maybe 1820’s?